The 2014 Calgary Stampede may well go on record as one of the best ever, if only because it had the best weather in the history of the Stampede. For me, it was a great 10 days of flaneuring the grounds people and animal watching. 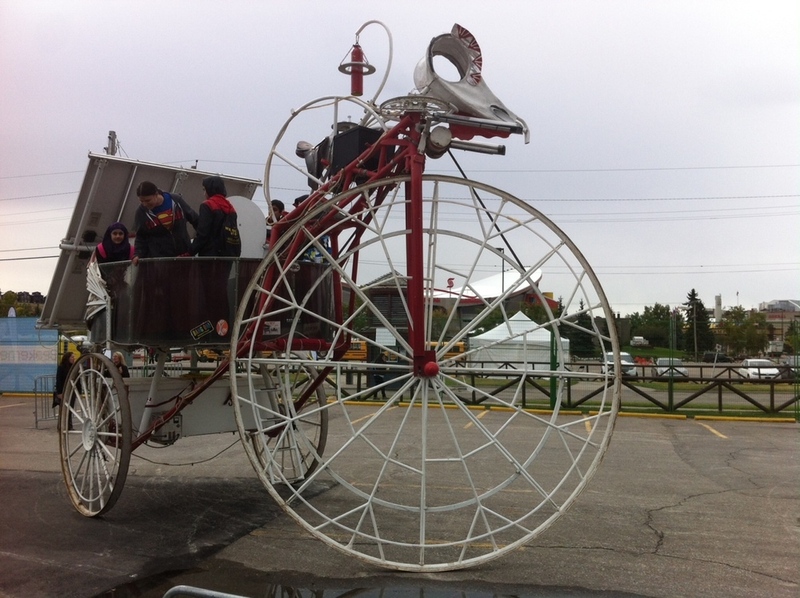 I thought I'd share with you footnotes of my "off the beaten path" observations of this year's Stampede. Probably my biggest observation was how much fun people were having. I saw more smiles, more laughing and more cheering at Stampede than I have ever seen at a hockey or football game, or music festival or casino. Everyone seemed happy - I can only recall hearing one child crying. 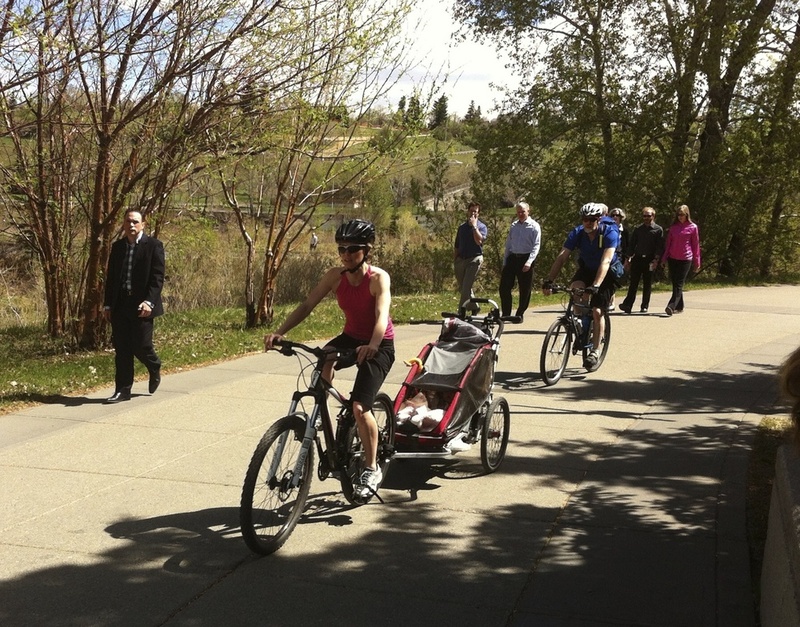 Stampede is an amazing event in that it attracts people of all ages and backgrounds to participate in the fun - from corporate CEOs to the homeless. It truly is a community celebration like no other I am aware of. The Stampede may well be Canada's most unique and authentic festival. Many Canadian cities have parades, music festivals, film festivals, winter festivals, agricultural fairs, but nobody in Canada or the world for that matter, has anything like the Stampede. While some argue the cowboy culture celebrated at Stampede was never part of southern Alberta's ranching culture, I would argue that all cultural festivals are abstracted from historic reality. 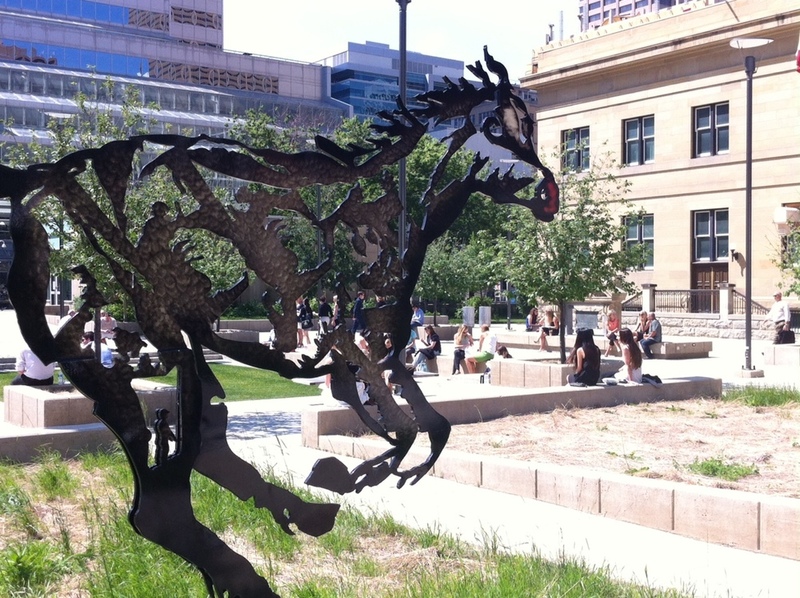 The fact the Stampede has a 100+ year history makes it authentic to itself. What other festival in Canada can boast the unique history and sense of place the Calgary Stampede's rodeo and chuckwagon races have? 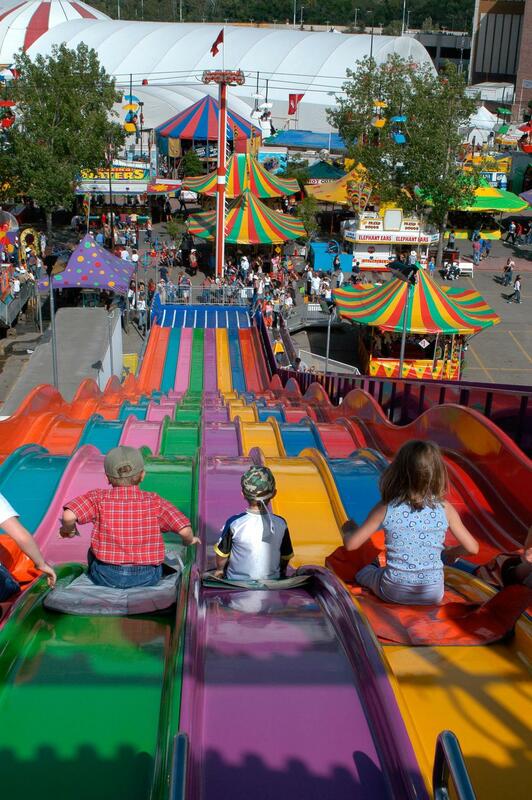 When you put combine the rodeo, chucks with the parade, agricultural fair, midway, grandstand show and concerts the Calgary Stampede truly is one of "the greatest outdoor shows on earth!" Better than soccer, hockey, football or golf? The rodeo is a great spectator sport, way more exciting to watch than any football, hockey, soccer or baseball game. Every few minutes there is a scoring play. The drama of a guy trying to wrestle a steer to the ground or ride a bucking horse or bull, sure beats watching a professional golfer try to line up a six-foot putt. It is refreshing to watch athletes compete for the love of the competition and not being paid millions of dollars for average performances. Unlike golf, there is very little money if you come in fifth! I was able to spend time around the animals and I can safely say to the animal rights activists ALL the animals at Stampede are treated better than people treat their beloved pets. I can also say the animals are not anymore anxious or agitated waiting to perform than the human participants - be that young 4H boys and girls or the seniors competing in the chuckwagon races. After their performance, it is hard to tell if the animals are pleased or not with their performance, but they certainly don't seem stressed-out. One of our Stampede traditions is to stop for Milk 'n Cookies - obviously these young men have the same tradition. All the money raised goes to the Calgary Food Bank. I don't know what the number is but I expect tens of millions of dollars are raised on and off of Stampede Park for community charities ever year. People feel very generous at Stampede time. Seemed this year I saw more people with big stuffed animal prizes from the midway. These kids were very happy with their life-sized animals. This family was off to win more prizes. Lenny and his friends were well treated before and after the RCMP musical rides - I thought I was in a hair salon with all the grooming going on. Like a football quarterback the rodeo participants wear a flak jacket. Like a formula-one car racer their jackets are full of sponsorship logos. Some even wear a hockey helmet. Corrals herd the people to the north entrance of Stampede Park. Behind the infield corrals herd the animals into the infield for their performances. At the Stampede humans and animals are treated equally! Everyone is well fed, well watered and winners get prizes. The addition of the mechanical bulls was very popular with young and old. I saw individuals from 6 to 60 give it a try. I did not! A buddying young bull rider - he and his two brothers had great fun giving bull riding a try. I scored this ride 81.5. There seems to be something innate in humans wanting to challenge themselves in weird ways - some do it by trying to ride a bull, others enjoy the thrill of a midway ride. While some hate rides they will get their thrills from running a marathon, climbing a mountain or perhaps competing in a bike race? Officially it is called having a "Type T" personality. I spent a lot of time observing the live stock and I never got a sense they were agitated. They reminded me of athletes waiting for the game to begin. These guys had their "game face" on! For anyone who loves speed, the chuck wagon races have to be thrilling. Talk about horse power? Stampede is all about fashion - past and present. It is all about the hat and the buckle.